Please check compatibility before ordering as this product may not be suitable for use in your system even if the product specs suggest so. Drives differ in their dimensions so you need to ensure this product will physically fit into your system as well as ensuring it has the appropriate firmware and connection interface. If in doubt, please contact us for assistance. Give us a call on 0330 124 1245 and we'll aim to beat any like for like prices. Do your servers need high-performance SAS disk drives for both your mission-critical and storage driven applications? HP SAS Hard Drives for enterprise and midline applications deliver high-performance solutions for hosting high transaction based applications. They are available in HP Smart Carrier, HP Standard Hot Plug Carrier and HP Non-hot Plug Carrier. HP SAS Hard Drives are available in a 2.5-inch Small Form Factor (SFF) and 3.5-inch Large Form Factor (LFF) and come in a variety of capacity points to meet a wide range of requirements supporting enterprise and midline applications. The SAS interface was specifically engineered to deliver high availability where enterprise-class data storage where performance, reliability and data integrity are crucial. The HP SAS Hard Drives deliver high reliability for mission critical applications. Robust SAS interface (dual port, full duplex) for increased performance. HP Smart Carrier for HP ProLiant Servers (both Gen8 and Gen9 are supported). They maintain backward compatibility with existing standard hot-plug carriers to provide support for HP ProLiant G7 and earlier servers and server storage enclosures. They are ideal for transaction processing, database applications, analytics, high-performance computing and business applications. The 512e Advance Format Drive is ideal for 4KiB aligned operating systems and applications. They also support legacy 512K native applications. At Evaris we carry out daily price checks to maintain an up to date view on our pricing in relation to our online competitors. As well as monitoring, our website reacts to fluctuating prices automatically to ensure our products are always priced as keenly as possible across our entire catalogue. Since it’s impossible to keep tabs on everyone, we offer a price match challenge. If you find a better price elsewhere, we'll do our very best to match it. What do your stock conditions mean? As well as new products, we also sell open box, refurbished & HP Renew products. All of our products are backed by a warranty. Open box products are brand new, unused items for which the outer packaging has either been opened or damaged. Open box products are covered by the full manufacturer warranty. Products we classify as refurbished have been checked and tested to ensure they are fit for sale and come from a variety of sources. Brand new products that we can’t sell as ‘new’ because the packaging has been been lost or replaced. Products returned to us that have been tested and deemed fit for resale. Hardware components our engineers have retrieved from system builds (e.g. server parts). HP Renew products have been remanufactured to the same standard as new HP products and are backed by the original HP warranty. In other words, there is no difference between the warranty offered for a new HP product and the equivalent HP Renew product. Read more about Hewlett Packard Renew products. Is your stock grey or sourced outside of approved channels? Categorically no! All our stock is ethically sourced within the EU and backed by warranty. Hewlett Packard products sold as new are retail sealed units covered by the full manufacturer warranty. For added peace of mind, we can supply serial numbers up front which you can validate online to confirm warranty cover ahead of purchase. Many claim to be the cheapest. Many claim to hold stock. They may say they're the best... but don't believe the hype. Physical stock in our warehouse, ready to ship now! Can your supplier give serial numbers up front? We can! Are we out on price? We check our prices daily against a wide range of competitors to try to bring you the best deal. However, if you've spotted a better price offered by one of our competitors, please let us know and we'll do our very best to match it. Is the advertised price & availability genuine? The IT sector is littered with companies who don't hold stock. Their websites advertise products that are sourced from third party suppliers. Pricing and availability data on such sites is typically retrieved from files or feeds which are often not refreshed regularly enough. The result? Cancelled orders, long lead times and disgruntled customers. 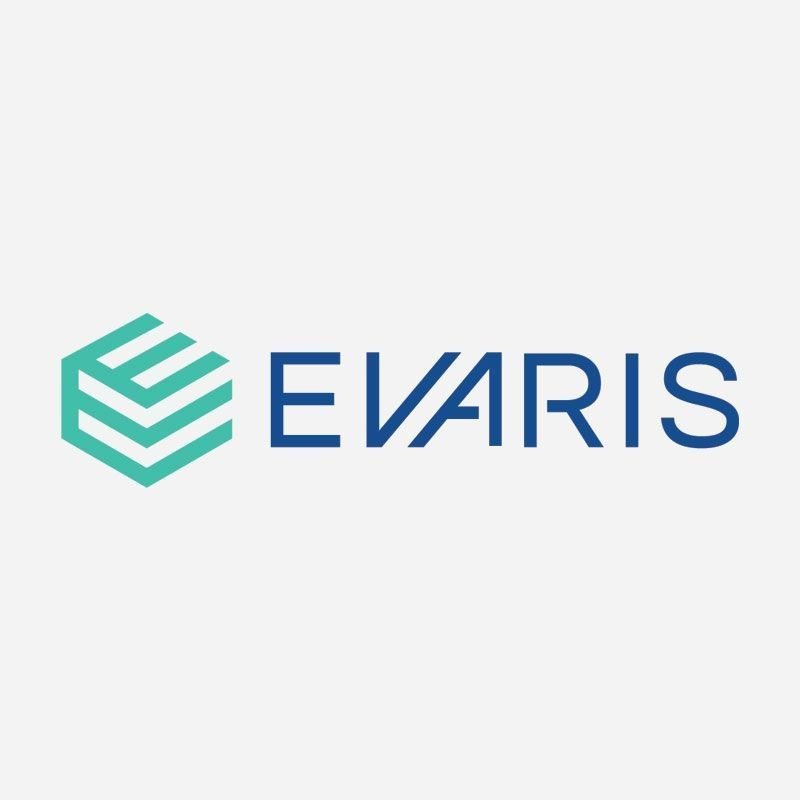 Evaris is a major stockholder with full transparency into our stockholding and pricing. Our website is refreshed on a 15-minute cycle 24/7 so the pricing and availability you see online is both accurate and reliable. We recommend you double check a cheaper price elsewhere is accurate and based on physical stock that can be shipped immediately before placing your order. Do they really have the product in stock? We show true stock counts on our website, not woolly messages like ‘in stock' or ‘available to order'. Stock levels are updated every 15 minutes 24/7 so you can see exactly how many units we have sat in our warehouse available for immediate despatch. And speaking of shipping, did you know we offer same day deliveries? You can choose this or other timed services during checkout on our website or contact our sales team for a quote. Handy when you need the goods in a hurry! Do they specify product condition? Most web stores fail to specify the stock condition of the products they advertise for sale. It seems reasonable to assume that all products are brand new, unused units supplied in the sealed, original manufacturer packaging and protected by the full warranty but this isn't always the case. A heavily discounted price can be a sign that the product in question may be a used or refurbished unit. Open/damaged box and ‘ex demo' units are also rife in the marketplace and warranty cover on such goods will be variable so it's wise to check what you're getting before committing to any purchase. Evaris displays the product condition on all our product pages. As well as detailing what the condition means, we specify the level of warranty condition allowing you to make an informed buying decision. Ensure you compare like for like when shopping around for prices online. Is the product covered by warranty? All brand new products come with a full manufacturer warranty, right? Not always; it depends where the products were sourced from. You may have heard of the grey market or parallel imports? Manufacturers often stipulate the geographical regions in which their products are designated for sale. Unscrupulous suppliers seek to source goods from outside of these regions at cheaper costs which they pass on via cheaper prices. The downside is that the manufacturer might not honour the warranty in the event of a support call. Grey kit does not qualify for warranty support and if it fails, you could be significantly out of pocket. All products offered for sale at Evaris are sourced from legitimate channels and are covered by warranty. For added peace of mind, we can supply serial numbers up front which can be validated on the manufacturer's website to ensure warranty cover is in place prior to purchase. Ask any potential supplier if they can supply serial numbers ahead of purchase. Any legitimate stockholder who has sourced the goods from the proper channels should be able and happy to do so. Look beyond the price and establish whether the company behind the product is a bona fide organisation that you can return to should you encounter issues down the line. This is particularly important if you've never heard of them before. It's relatively easy to set up a web shop nowadays which makes it difficult to differentiate between a one-man band operating out of a home office and a well-established, reputable bricks and mortar business. Sales T&Cs, returns policy and aftercare service are probably important areas for you to consider. Evaris is an ISO 9001 certified company committed to supplying products and services that consistently meet our customers' requirements and expectations. We are a Feefo Commended Merchant thanks to our consistently high customer service scores gathered independently from genuine purchase verified customers. We build long standing relationships with organisations of all types and sizes; take a look at our case studies for examples of projects we've worked on in both the private and public sector. No Spam. No sharing of details. No nonsense. Exclusive content and offers for our subscribers. © Copyright Evaris 2019. All Rights Reserved. Registered in England & Wales.